We invite all our partners to support this important initiative, in collaboration with the Luxemburg Environment Agency! The consultation is relevant for – the general public, given their vital role in purchasing, using or consuming and discarding products. The consultation aims to better understand the grounds on which they take decisions relating to products. – businesses and other stakeholders applying the EU product policies in everyday situations. They are likely to have more in-depth knowledge and experience with different policy tools. – civil society including NGOs often have expectations of the goals pursued by EU product policies. They also often have relevant information and knowledge on (impacts of) products which is very relevant for this initiative. 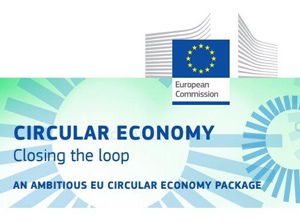 – national and regional authorities in Member States, who have experience in implementing EU product policies as well as awareness of the impacts of products in their countries or regions. Local polices can complement EU policies and information on this is very relevant. Furthermore they play an important role as purchasers of products.